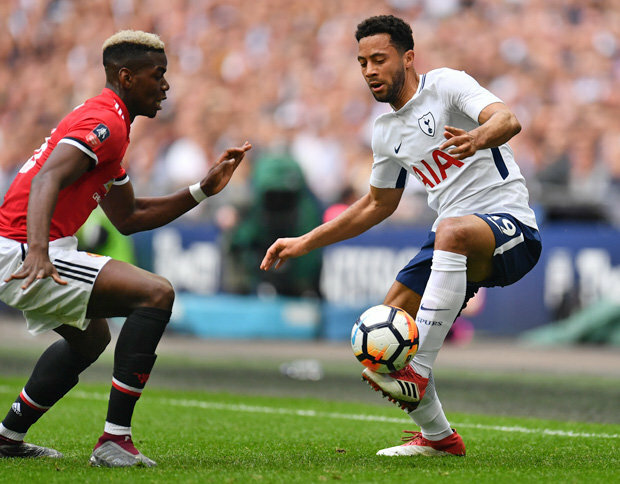 TRANSFER NEWS LIVE: Updates from Manchester United, Liverpool, Chelsea, Arsenal and the rest of the Premier League as clubs look to complete deals ahead of next season. 2.15pm: Aaron Ramsey has hinted he wants to stay at Arsenal – despite being linked with an exit this summer. 1.30pm: Manchester United could be given a helping hand in their bid to land Sergej Milinkovic-Savic from Lazio. That’s because Jose Mourinho’ agent Jorge Mendes is ready to help broker a deal. Italian journalist David Amoyal said on the Calcioland podcast: “Man Utd definitely likes Milinkovic-Savic, but at the moment they are not sure they want to spend €100m on a player who is not guaranteed to be a starter since Fred, Matic and Pogba are slated to be the starters. 12.45pm: Paris St-Germain are keen on Barcelona star Ousmane Dembele. Dembele only signed for the Spanish giants last summer. But with Atletico Madrid striker Antoine Griezmann seemingly on his way to the Nou Camp, the French winger could be heading out after just one season. 12pm: Manchester United will put £121m on the table for Gareth Bale this summer. 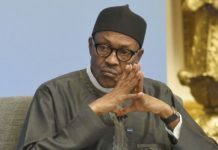 The Welshman looks to be heading out of Real Madrid, and the Premier League giants are now ready to make their move, report AS. 11.15am: Robert Lewandowski has told Bayern Munich he wants out – and Europe’s top clubs are lining up to get him. Chelsea would like the Poland star as their new star striker, but Real Madrid could also enter the transfer battle. 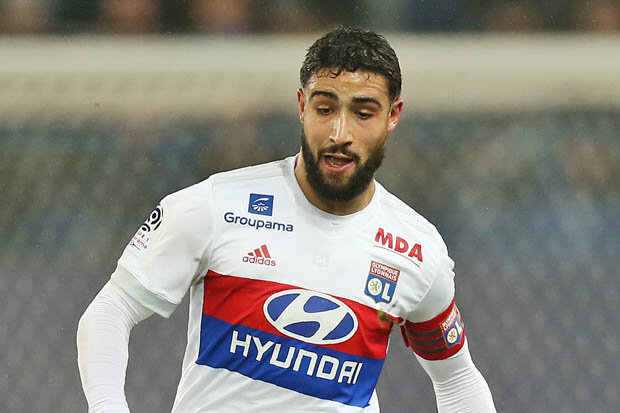 10.30am: Nabil Fekir is wanted by Liverpool this summer as Philippe Coutinho’s replacement – but they are not the only club chasing the French star. Jurgen Klopp is keen to wrap up a £60m deal, but The Sun report Chelsea are hovering around too as they look to bolster the ranks ahead of next season. 9.45am: Liverpool want Alisson, but the Roma goalkeeper will cost the club almost twice what they paid for Mohamed Salah. The Guardian claim Roma have slapped a huge £80m price on the head of the Brazilian, who Jurgen Klopp wants in as his new No.1. 9am: Fred is heading to Manchester United this summer – but he’s been given a huge warning ahead of putting pen to paper at Old Trafford. Calcioland podcast producer and co-host Alex Goldberg says a move to Old Trafford might not work out for Fred. “I know Man Utd fans you guys got Fred, nice player,” he said on the show. “But I said a long time ago, Mourinho is not the special one. 8.15am: West Ham face a battle to sign Barcelona’s Marlon Santos. The defender has been touted as Manuel Pellegrini’s first signing – but a £17.4m offer is already on the table from a rival club, meaning the Irons must move fast if they want to land the 22-year-old. 7.25am: Chelsea could launch a bid for Napoli defender Kalidou Koulibaly – if Maurizio Sarri is appointed as manager. Starsport understand the Senegal centre-back is a top target for the Italian manager. 6.45am: More Arsenal news now – albeit bad rather than good. Real Madrid ready to pip Gunners to signing of £53m-rated Atletico Madrid star Jose Gimenez. The European champions are ready to raid their city rivals for the defender by meeting his hefty release clause in full, according to Marca. Arsenal are reportedly on the verge of signing Sokratis Papastathopoulos from Borussia Dortmund but in still in the market for more central defenders. 5.55am: The Gunners are believed to be considering activating Uruguay midfielder Lucas Torreira’s £22m release clause at Sampdoria. 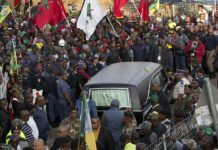 The 22-year-old enjoyed starred during his side’s campiagn which saw them finish in mid-table, earning himself a spot in Uruguay’s World Cup squad. 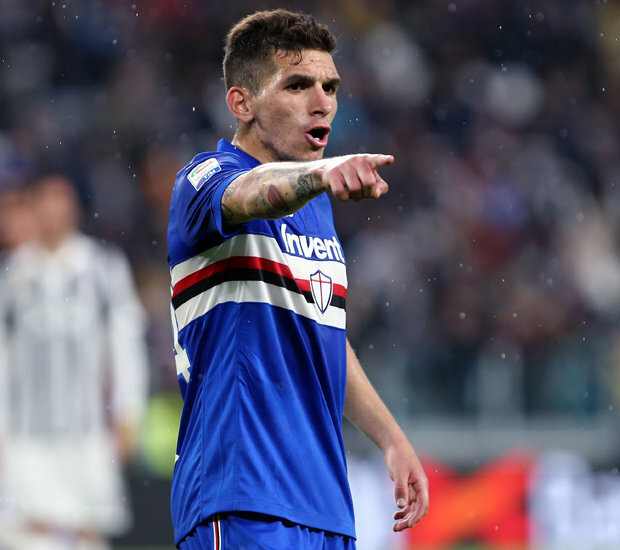 CalcioMercato report that Arsenal and Everton are both keen on the idea of bringing Torreira to the Premier League this summer. 4:40am: Arsenal are reportedly keeping tabs on Mehdi Benatia, as the Juventus defender’s future seems to be uncertain. French outlet Le10 Sport claims that Sven Mislintat has identified the 31-year-old Morocco international as a possible target to bolster the Gunners defence. The Italian champions are thought to be eager to bring in a younger defender as replacement for ageing trio Benatia. Juve will sit down with the player after the World Cup. 3.10am: Tottenham Hotspur have snubbed several AC Milan offers for in-demand midfielder Mousa Dembele according to reports. The Belgium international’s future in north London is uncertain with both parties so far failing to agree terms over a new contract. And according to SportItalia, Spurs have knocked back several offers from Milan for Dembele. Dembele will be representing Belgium at the World Cup in Russia this summer. 1.30am: Juventus have put striker Gonzalo Higuain up for sale according to reports circulating in Italy. The Serie A champions are thought to want around £50m for the Argentine front man who has scored 55 times in 105 games for the club. Both the Corriere dello Sport and Tuttosport claim in Wednesday’s front page stories that Higuain will be allowed to move on to let Juve pursue the return of Alvaro Morata from Chelsea. 10.30pm: Chelsea have been warned they will not be getting Napoli boss Maurizio Sarri on the cheap. 9.45pm: Loris Karius has been offered a way out of Liverpool by Italian third-tier side Rimini. “On June 22, Loris Karius will turn 25 years old. I would like to host the German goalkeeper for a few days in Rimini, a welcoming town that has always been frequented by his fellow countrymen and women,” Rimini president Giorgio Grassi explained in an open letter. 8.10pm: Manchester United have triggered the £17.4m release clause of Porto right-back Diogo Dalot. That’s according to Daily Telegraph reporter Jason Burt. Dalot, 19, impressed for Porto last season, scoring twice and providing three assists in the Portuguese top flight. 7pm: Bayern Munich have sensationally hijacked Manchester United with a swap deal offer for Gareth Bale. Reports in Spain claim the Bundesliga side are willing to let David Alaba join Real Madrid if it means they sign the Wales international. Bale threw his future into doubt after admitting he would consider his future at Los Blancos after the Champions League win over Liverpool. That was after the former Tottenham man came off the bench to score twice in the 3-1 victory. Now Spanish outlet Don Balon, known for their outlandish transfer claims, say Bayern are ready to beat United to Bale this summer. 6.05pm: Sky Sports reporter Dharmesh Sheth has given an update on Fred joining Manchester United. “We’re told talks are at an advanced stage,” he said on the Transfer Talk podcast. “There are reports claiming Fred would cost in excess of £50m. £50m in today’s market for a Brazil international seems like a reasonable deal. 5.10pm: Manchester United boss Jose Mourinho is plotting a shock raid for Barcelona star Jordi Alba. Reports in Spain claim the Special One is ready to battle Chelsea for the left-back as he looks to close the gap on Manchester City. But it is understood Barcelona believe Alba is indispensable and Lionel Messi is also a close ally of the 29-year-old. Spanish outlet Don Balon, known for their outlandish transfer claims, say Mourinho is testing the Catalan club by opening negotiations with Alba. 4.05pm: Jack Butland is odds-on to start for Liverpool in their first Premier League game next season. That’s according to the bookies who are confident Jurgen Klopp will sign the England international goalkeeper. 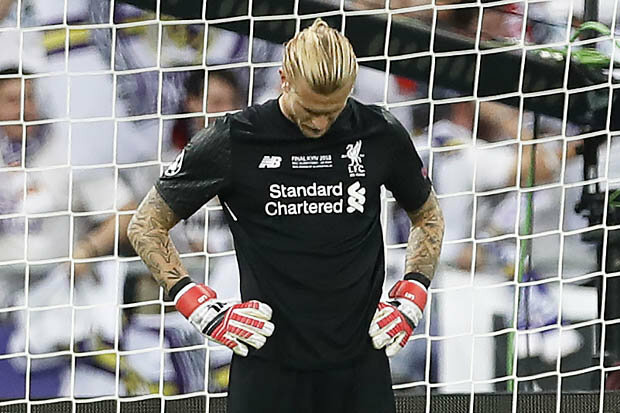 The need for a new No.1 came to the fore after two horrendous errors from Loris Karius in the Champions League final defeat to Real Madrid. 3.20pm: Guillem Balague has given an update on Gareth Bale’s future at Real Madrid. He tweeted: “Neymar is not for sale at all according to PSG. “What will happen to Ronaldo and Bale? Real will continue to negotiate a new more lucrative deal for Ronaldo and Bale IS NOT FOR SALE, he has been told. 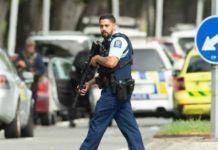 “It will be a long summer… Meeting between his representatives and Real might change all that (won’t happen for at least 2 weeks). “RM might insist he isn’t for sale but Bale wants to be pleased with outcome and treated with the respect of his status. 2.10pm: Cristiano Ronaldo is very disappointed with Manchester United’s efforts to sign him, according to Don Balon. The Spanish publication, who are renowned for their outlandish transfer claims, suggest the Red Devils officials have held talks with the 33-year-old’s representatives. Ronaldo is reportedly miffed at the lack of interest his former club appear to have towards bringing him back to Old Trafford. He is said to be demanding to match Barcelona superstar and rival Lionel Messi’s £500,000-a-week contract. But Don Balon suggest that United bosses warned they are unable to meet his request. 1.10pm: Liverpool already have two done deals in the bag for this summer – and plenty more are set to follow. Liverpool raced through a transfer for Fabinho last night to make him their second big-money arrival. A deal for RB Leipzig man Naby Keita was already in place from last summer after a £52m fee was agreed for the Guinea international. 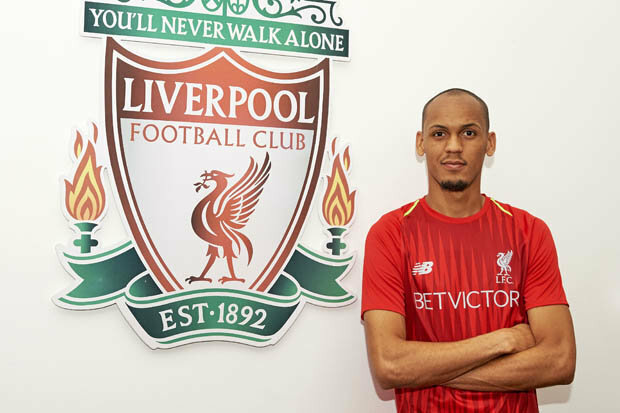 Fabinho has followed him to Anfield from Monaco in a deal worth an initial £44m. And now Jurgen Klopp is turning attention to adding two other star players. Starsport understands the Liverpool boss wants Lyon attacking ace Nabil Fekir. Roma goalkeeper Alisson is also liked by Liverpool. 11.05am: Real Madrid duo Sergio Ramos and Cristiano Ronaldo want Manchester United target Gareth Bale out of the Bernabeu, according to Diario Gol. Bale has expressed frustration at his lack of regular action his agent Jonathan Barnett is planning talks with Los Blancos president Florentino Perez this summer. But according to Diario Gol, who are renowned for their outlandish transfer claims, Perez faces having to clear up bad blood between Ramos, Ronaldo and Bale. The Spanish publication claim Ramos and Ronaldo do not want the Wales international in the team and would be happy to see him sold. 9.45am: Barcelona are set to announce the signing of defender Clement Lenglet from Sevilla. La Liga champions Barcelona have activated the €35m (£30.5m) release clause in Lenglet’s contract, according to Spanish radio station Cadena COPE. He will reportedly put pen to paper on a five-year deal at the Nou Camp. Barcelona and Sevilla are due to announce the transfer imminently. 9.25am: Arsenal attempted a late hijack of Liverpool’s bid to sign Fabinho from Monaco. The Gunners launched a move for Fabinho at the weekend but he had already decided to join Liverpool. 8.30am: Liverpool have signed a gem in Fabinho, according to Monaco bigwig Vadim Vasilyev. Liverpool have struck a £44m deal with Monaco for utility man Fabinho, who will join on a five-year deal on July 1. “I want to salute a player who, despite his young age, has set an example on and off the field thanks to his exceptional technical and human qualities,” Vasilyev told RMC. “He leaves for one of the most popular clubs in the world, five years after arriving on his tiptoes in Monaco. 7.45am: Liverpool are hoping to make Lyon playmaker Nabil Fakir their second signing of the transfer window. The Reds completed a £43.7m deal for Fabinho from Monaco yesterday and Anfield bosses want to snap up Fekir before the World Cup. 7.15am: Arsenal are attempting to complete the £16m signing of Greece international Sokratis Papastathopoulos from Borussia Dortmund. 6.45am: Chelsea managerial target Maurizio Sarri is demanding a £179m splurge on Napoli trio Kalidou Koulibaly, Elseid Hysaj and Piotr Zielinski plus Juventus striker Gonzalo Higuain, according to Gazzetta dello Sport. “We spoke a bit more about how the city was, about the infrastructure of the club and the city,” Fabinho told the club’s official website. Sky Sports report that Pochettino is ‘happy to sanction’ the Belgian’s move to United despite selling to a title rival. The Brazil squad are currently in England using Tottenham’s training facilities, and face Croatia in a friendly at Anfield on Sunday. And Fred’s agent Gilberto Silva was in London last week for talks as an agreement drew closer.